Tiara Marthias focuses on researches and projects on inequality in reproductive health, maternal, neonatal and child health (RMNCH) using health systems perspective. Her research interests include (1) health systems & policy analyses related to geographical inequity in RMNCH services utilization including policy development, evidence-based planning and budgeting, (2) econometric studies to decompose inequalities and inequities in health care utilization, (3) health financing analysis and evaluation of health fund channelling and prioritization and (4) evaluation methods particularly exploring the realist evaluation approach. Tiara also has extensive experience working with Indonesian ministries and sub-national government offices to assist in health program planning and evaluation and collaborating with international health organizations. 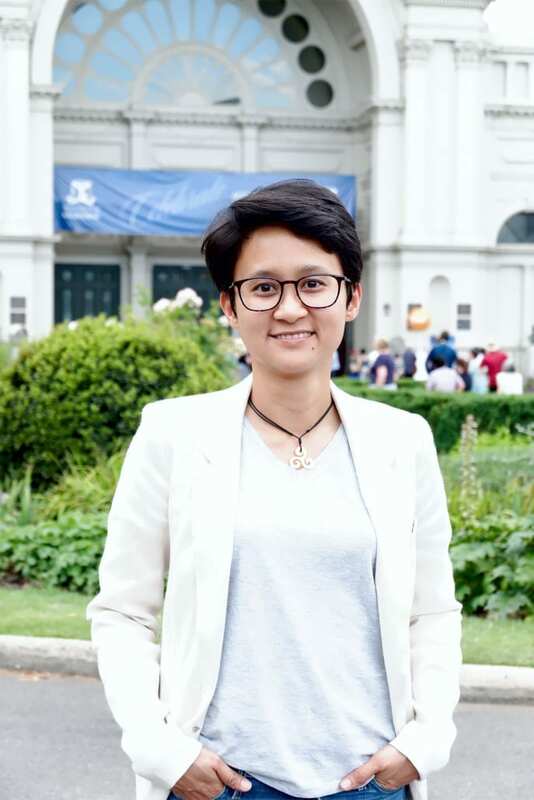 Tiara is currently undertaking her PhD at The University of Melbourne. Her thesis explores health systems factors that drive geographical inequality in maternal health care utilization in Indonesia, using the Indonesian National Health Insurance program as the main context of the analysis. Current research interests include the application of combination between analyses using big data to explore geographical inequalities in health and realist evaluation to provide evidence for precision public policy in the context of maternal and child health. Mahendradhata, Y., Trisnantoro, L., Listyadewi, S., Soewondo, P., Marthias, T., Harimurti, P., & Prawira, J. (2017). The Republic of Indonesia Health System Review (Vol. 7). India: World Health Organization. Nababan, H. Y., Hasan, M., Marthias, T., Dhital, R., Rahman, A., & Anwar, I. (2018). Trends and inequities in use of maternal health care services in Indonesia, 1986– 2012. International journal of women’s health, 10, 11. Harbianto, D., Trisnantoro, L., Marthias, T., Kurniawan, M. F., Putri, L. P., & Marbun, D. (2016). The Impact of Bappeda Involvement In The Cross Sector SKPD’s Capacity Development For Planning And Budgeting For Mnch Program At Papua Province. Jurnal Kebijakan Kesehatan Indonesia, 05, 53-59. Ni Luh Putu Eka Putri Andayani, Tiara Marthias, Likke Prawidya Putri, Armiatin. “Public hospital governance in Indonesia”, chapter in: World Health Organization. “Public hospital governance in Asia and the Pacific.” (2015). Hodge, A, Firth, S, Marthias, T & Jimenez-Soto, E. (2014). ‘Location Matters: Trends in Inequalities in Child Mortality in Indonesia. Evidence from Repeated Cross-Sectional Surveys’, PloS one, vol. 9, no. 7, p. e103597. Marthias, T., Kurniawan, M. F., & Putri, L. (2014). Maternal health insurance in Indonesia: assessment of a policy design. BMC Public Health, 14(Suppl 1), P8. Anderson, I., Marzoeki, P., Meliala, A., Pambudi, E., Hariadi, K., & Marthias, T. (2013). The Production, Disbursement, and Performance of Physicians, Nurses, and Midwives in Indonesia: An Update. Working Paper, Jakarta, World Bank. Marthias, T., & Trisnantoro, L. (2012). Health system for maternal health – A case study from Papua, Indonesia. BMC Public Health, 12(Suppl 2), A24. Kurniawan,M.F.,Harbianto,D.,Purwaningrum,D.,&Marthias,T. (2012).Evidence-based budgeting policy in maternal and child health programme: do they work? BMC Public Health, 12(Suppl 2), A31. Marthias, T. (2011). Inequality in Maternal Health Care Utilisation in Indonesia: An Analysis of the Demographic & Health Survey 2007. Available at SSRN 2267584.